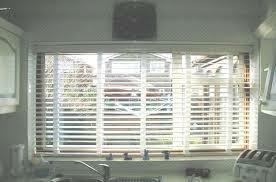 Wood blinds by First Choice Blinds are some of the most attractive and effective window treatment options on the market. For starters, they create a natural, warm feeling in any room they are installed. Add to that their availability in a wide variety of styles, stains, colors, sizes and even materials, and its clear why they have become a favorite of homeowners and interior decorators alike. 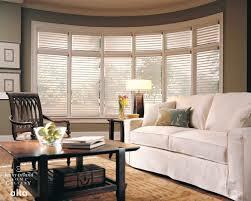 As mentioned before, the primary reason these blinds have become such popular window treatments is their looks. Their appearance creates a sincere and relaxing feel to any room and they look great from both inside and outside the home. 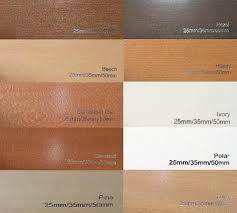 They can be stained almost any color to match your pre-existing trim or furniture or they can be painted to complement your home’s general color schemes And it’s all complemented by the comforting look of their strong wood grain and texture. They truly are one of the most beautiful and eye turning products on the market. The benefits don’t stop with their good looks, however. 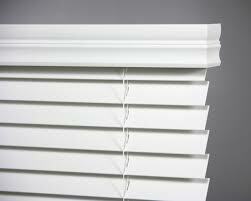 These blinds are excellent insulators against heat and cold because of their solid wood construction. For the same reason, they provide your home with unrivaled privacy and are excellent protection for your furniture from the harmful rays of the sun. Finally, they are also incredibly lightweight, dramatically reducing the amount of daily wear and tear and extending the life of your blinds. There are many things to consider when choosing the right style of blinds for you and your home, starting with slat size. 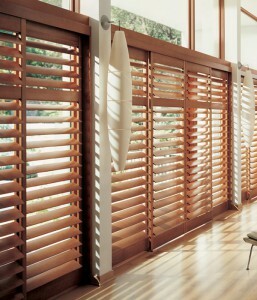 1 and 2 inch slats are the most common, though larger slatted models provide more of a shutter effect and let in optimal light. 1 inch slats are best for French doors and small windows, while 2 inch slats look great just about anywhere. Other options to consider are vertical slats, woven wood models (think bamboo shades), and models made of faux wood rather than real wood. Many homeowners choose faux wood blinds over the real thing for a variety of reasons, though price usually tops the list. Real wood isn’t cheap, and faux materials can take some of the sting out of the final reckoning. There are some other things to consider when making this choice, however. Real wood is significantly lighter and as a result will last longer. It’s also less susceptible to fading and warping from sun and heat. And of course, while faux wood does a remarkable job of mimicking real wood, it just isn’t as attractive. The one exception to the rule is if you’re installing your blinds in rooms with high humidity levels, such as bathrooms and kitchens. Real wood can warp in these environments, while faux wood made from a plastic polymer won’t have the same problem. We cover all of Dublin including Tallaght,Terenure,Walkinstown,Perrystown,Dundrum,Blessington,Ballinteer,Ballyboden,Blackrock,Churchtown,Crumlin,Donnybrook,Dun Laoghaire,Firhouse,Foxrock,Goatstown,Jobstown,Kilmacud,Killiney,Kimmage,Knocklyon,Leopardstown,Lucan,Milltown,Ranelagh,Rathcoole,Rathmines,Rialto,Saggart,Sallynoggin,Sandymount,Stillorgan,Covering all of Dublin based in Ballymount.